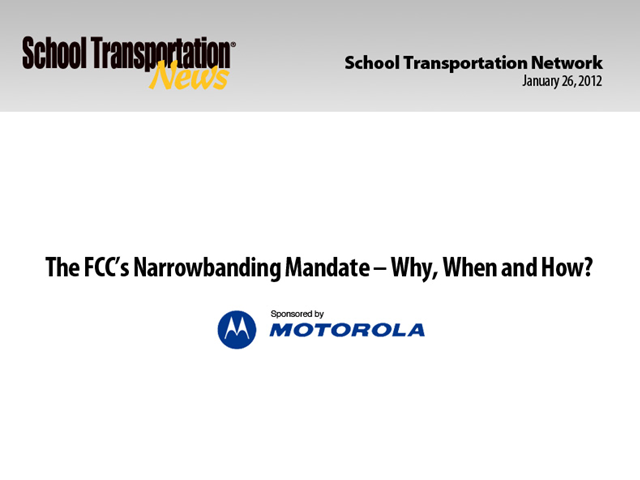 In one year, school districts and bus companies must have two-way radio systems that comply with an FCC requirement for a minimum narrowband of 12.5 kHz from the current requirement of 25 kHz. Learn why it is imperative to ensure compliance in advance of the Jan. 1, 2013 deadline and what student transporters can expect in terms of coverage and infrastructure. This webinar is sponsored by Motorola.